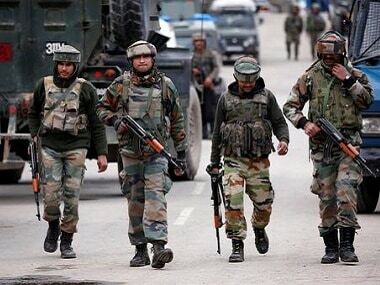 New Delhi: The armed forces continue to be upset with the government over a Defence Ministry circular regarding rank parity vis-a-vis their civilian counterparts at the Service headquarters even though the Ministry issued a statement today, saying no downgradation had been done. 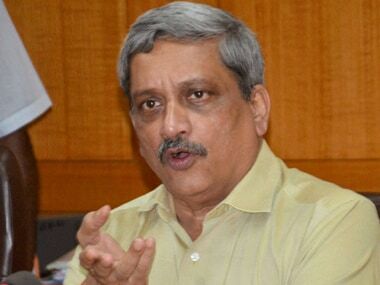 Two days after Defence Minister Manohar Parrikar promised to look into the concerns of the military personnel, the Ministry issued a statement saying there has been no downgradation or any change in the existing equivalence of the Service ranks whatsoever. "The existing functional equivalence as clarified in 1991 and further reiterated in 1992, 2000, 2004 and 2005 has only been re-affirmed," the statement said. It, however, failed to placate the armed forces, including some retired officers. 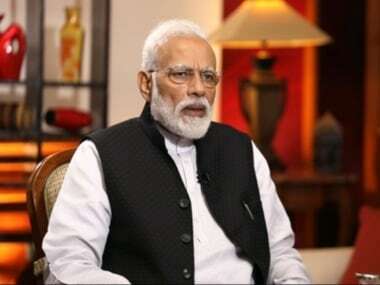 "PM exhorts nation to send Diwali 'sandesh' to soldiers. 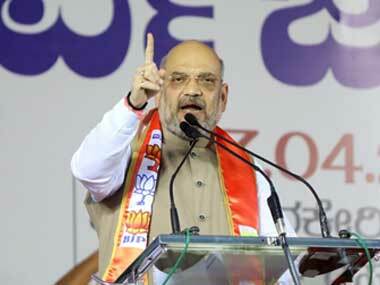 B'crats reduce disability pension n lower status vis-a-vis civilians. 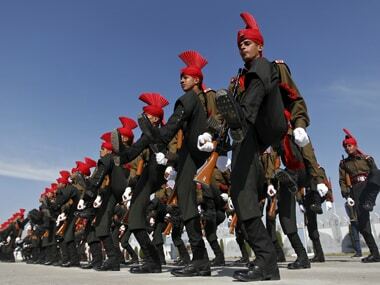 Happy Diwali!," Brigadier Gurmeet Kanwal (Retd) tweeted, a view echoed by serving officers in the three Services. As per the circular issued on October 18, an army Major General (rear admiral in the navy and vice-marshal in the air force) was to be on par with a principal director in the Armed Force Headquarters (AFHQ) Civil Service. A Brigadier/Commodore/Air Commodore (with about 24 years of service) was to be equivalent in rank to a director (with about 14 years of service), and a Colonel/Captain/Group Captain to a joint director in the civil service, sources in the armed forces said. So far, a colonel was equated with a director. A Brigadier did not have a clearly defined equivalence in the civilian hierarchy. However, they were treated at par with a deputy director-general. A major general was treated as the equivalent of a joint secretary. In the letter of 1992, it was clearly mentioned that a Major General was equivalent to a Joint Secretary and equivalent ranked civil officers in the Service Headquarters. Defence Ministry sources said that a Joint Secretary is equal to a Principal Director in the Services Headquarters in terms of pay band. However, sources in the Services say that the Ministry should put it in writing that a Joint Secretary is equivalent to a Principal Director. Sources in the armed forces said that the Services had issued an order for "Redesignation of Appointments of AFHQ Civil Service Officers posted at Headquarters between 2003-08) under which a Director was re-designated as Principal Director and a Joint Director as Director. It was clearly brought out that designations were purely local and would be used for day-to-day purposes alone and not entail change in status, prevailing rank and equivalence, sources said. "It is further clarified that the present reiteration of rank equivalence is only for matters of assigning duties and functional responsibilities as is already existing in different offices of the respective Service HQrs of the Army, Navy and Air Force having component of Service personnel as well as civilian officers. "It has no bearing on civilian employees outside these offices of the Service HQrs. It is reiterated that there is no change in the rank structure or the status of the Armed Forces personnel," the statement said. However, sources alleged that Office of JS (Training) and Chief Administrative Officer has been issuing regular orders establishing protocol and status equivalence based on the redesignation. They fear that with the letter of October 18 a Joint Secretary in the MoD will go a notch higher than a Major General. Senior armed forces officers said an attempt at downgrading the status of military officers vis-a-vis their civilian counterparts had been resisted way back in 1992 by then Chiefs of Staff Committee. "But, babus prevailed by simply bulldozing their way and (because of) unwillingness and irresponsibility of political executive. "Issue is simple. There can be no more than one parameter for 'equivalence'. How can there be separate equivalence for 'Functionality', 'Warrant of Precedence'; and based on 'Pay Scales/ Grade Pay' ? Accepting such multiple regimes is a deliberate act of causing confusion and subverting status as per convenience," a senior officer said. The officers, speaking on the condition of anonymity, said it was important to scrutinise the mandate of AFHQ cadre. Noting that AFHQ officers were meant to provide only secretarial support and had no executive authority or powers, they said comparing them to armed forces officers who have executive powers, exercise command over men in peace and war, and also have substantial judicial powers, is insane - like comparing "chalk and cheese".